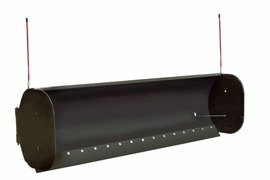 The Quick Push Snow/Light Material Blade is the perfect way to remove snow from walks, driveways, or parking lots. Use it in the summer for light material grading. Add the optional Wing Kit and your blade becomes a snow pusher, increasing your production of larger areas and lots.